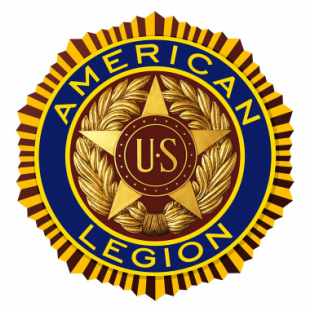 ​The American Legion was founded at the end of WWI, and chartered in 1919 by the Congress of the United States. As a patriotic Veterans organization dedicated to serve our fellow Veterans and Servicemembers, we participate in programs that promote duty and honor through patriotism in our communities and seek to inspire others in the spirit of volunteerism. The American Legion is the nation’s largest and most influential veterans service organization. An interesting fact about our longevity is that among the more than 13,500 American Legion posts operating today, some 5,400 were chartered in the first year of our existence. ​It’s hard to think of a more successful franchise. The key to such longevity is that the values we hold dear – as defined in our Four Pillars: Americanism, National Security, Children and Youth, and Veterans – are so timeless they have resonated with former military men and women from World War I to the Global War on Terrorism. Chartered in 1920, the Pleasanton American Legion Post 237 founding fathers all fought in some way in that Great War. Many streets in town are named after them. Having no Veterans hall, they held meetings in many different buildings in town, until they acquired the property on the corner of Main and Old Bernal. The Veterans Building was built with a special tax at that time throughout the county. The same architect designed every Veterans Memorial Hall in Alameda county, many have the same features through out each building. The cornerstone of the Pleasanton Veterans Memorial Building is dated 1932. The building was renovated in 2007 to the original luster of the 20's and brought to city and county codes. New heating and air conditioning systems were added, along with a new sound system. One of the historic facts found in our records of 1927 was William Randolph Hearst, attending the June meeting and donated $500.00 to the American Legion Post 237. He personally signed the ledger in the famous blue ink he used every day. The American Legion members used to participate in the Alameda County Fair in many functions in those days. The Veterans Hall was also the USO during WWII. The Hall was at one time the City's movie theater; a projection room upstairs is covered in tin plate for fire purposes from the celluloid film that was used in those days. The Hall was also used as the first Senior Center in Pleasanton, until a new one was built on Sunol Blvd. and Memorials for many of our fallen Band of Brothers. the Veterans of Foreign Wars Post 6298, the Pleasanton Military Families, and more. "LET US STRIVE ON TO FINISH THE WORK WE ARE IN: TO BIND UP THE NATIONS' WOUNDS; TO CARE FOR HIM WHO SHALL HAVE BOURE THE BATTLE. AND FOR HIS WIDOW, AND HIS ORPHAN; TO DO ALL WHICH MAY ACHIVE AND CHERISH A JUST AND LASTING PEACE AMONG OURSELVES AND WITH ALL NATIONS."